About a month ago, I had the opportunity to meet miss Joelle Golinski, the coordinator of ” île aux clowns” in luxembourg. Because I was really impressed by miss Golinski as well as the initiative she represents, i thought it might be good to write about it here in the blog. It is generally accepted that laughter can be good for health. Sharing laughter binds people together, helps them to distract themselves from their worries. Furthermore, laughter can trigger healthy physical changes in the body. It can be a powerful antidote to stressful and painful situations, it can boost energy and even seems to strengthen the immune system! 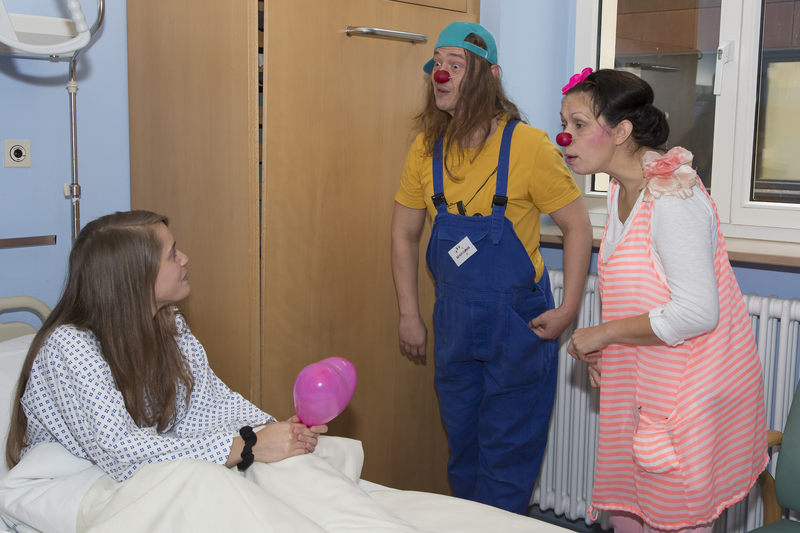 To bring a little more happiness, perhaps even moments of joy to people that are suffering from illnesses and whose life in a care facility is sometimes really heavy, in several countries the initiative was taken to send professional clowns to care facilities like hospitals. 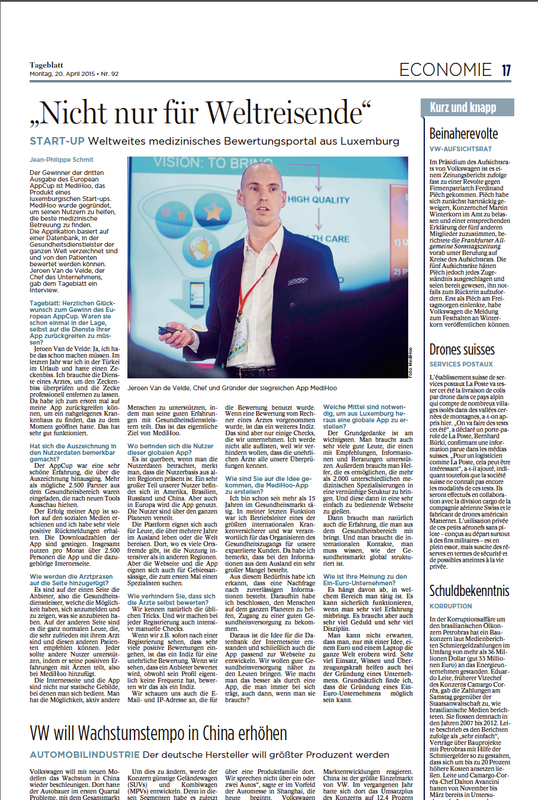 In it’s current form the luxembourg organisation “île aux clowns” was founded in 2013 by five different partners: KPMG, Clifford Chance, Fondatioun Kriibskrank Kanner, Help and Servior. Each of these partners brought in the necessary initial investment to found an organisation whose main mission it was to improve quality of life for people of all ages – particularly those who are lonely and underprivileged – in hospital and specialist care facilities. The employees, often dressed as clowns, go into care facilities and try to brighten up the atmosphere here and there by using well-dosed humor, dialogue, surprise, kindness and positive distraction. Today the “île aux clowns” is financially independent from its founders and runs entirely on donations. The founding partners however continue to support intensively with their respective knowledge and skills. Currently there are 6 full-time clowns running around in Luxembourg putting all their energy in bringing a smile to the face of sick and lonely people. Few take the time to consider how though a job – being a clinic clown – actually can be like the medical staff, also clinic clowns are daily confronted with often heartbreaking situations. They have to create a pleasant atmosphere in a difficult and challenging environment. They have to be conscience of the social and cultural context and have to constantly adept to it. And in the end of the day these courageous clowns are also “just” human beings with human emotions and coming home they take of the masks but the impressions they gathered stay with them. During their training, but also afterwards, “île aux clowns” offers their employees the possibility to consult psychologists who can help them to deal better with difficult, often very emotional situations. 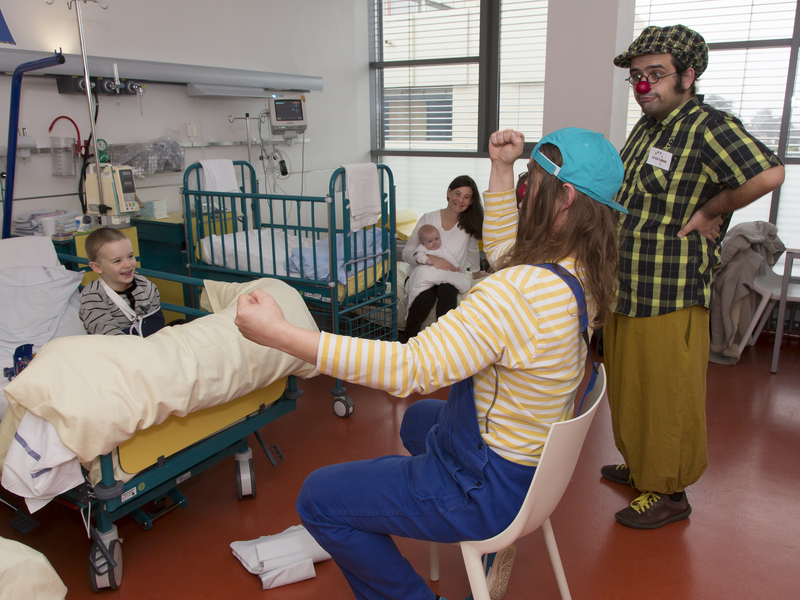 In the early years, “île aux clowns” in Luxembourg predominantly performed for seriously ill children. 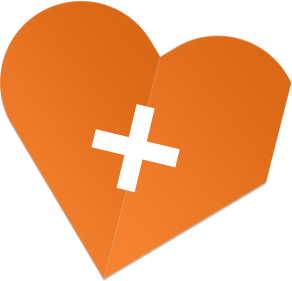 Meanwhile the field of activity has extended and now includes children’s wards many hospitals and other care institutions. There is no distinction made relating to the nature of the illness or the duration of the admission. Furthermore lonely and underprivileged people are now benefiting from their services. The organisation is continuously screening the requirements and necessities within the market and adapting to cater for those. They are currently testing and analysing whether their services can be extended towards autistic children, children with Asperger’s Syndrome and children’s that are victim of abuse. It is needless to say that with the complexity of the job, the emotional stress that comes with it as well as the “heavy” job requirements, the organisation has chosen to employ full time clowns. Since the “île aux clowns” purely runs on donation it is important to secure a steady inflow of donations. Here an appeal has to be made to each and everyone to help the organisation “île aux clowns” to continue their valuable work. Also Medihoo will look for possibilities and initiatives how it can support “île aux clowns” more in the future. In the meantime you can contact the “île aux clowns” if you want to learn more about them.